An honest discussion of how this school works – as told by 3 students after their last day of training. Horse owners wanting to become trained and even certified in this technique also have hands on options available but will need to travel to Florida, USA. This module is for those who want an understanding of good dental care. It is designed for ALL horse owners anywhere in the world. 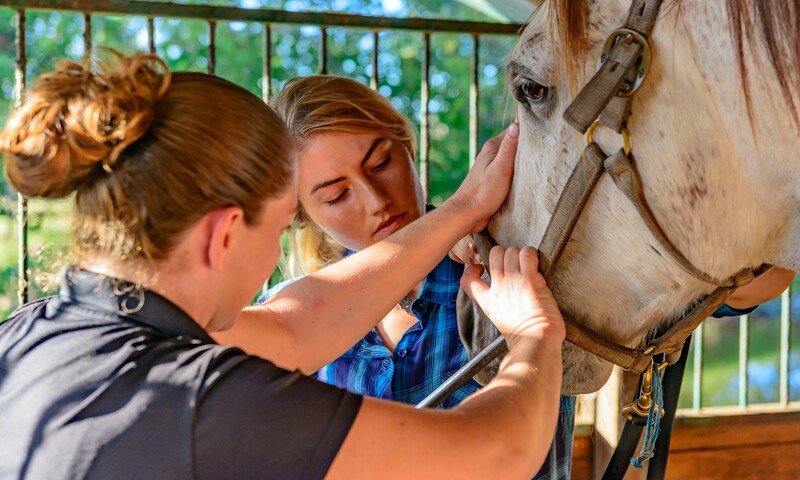 You do NOT need to want to become an equine dentist but if you are not sure, this is a great place to start because it gives the perspective student a chance to experience what the school is really like. There is a 30 day money back guarantee if you don’t like this module. These modules make up the online portion of the school. These modules are extensive and make up the basics of anatomy, theories and techniques in horsemanship and floating. They are the heart of the school and understanding the material is essential for completing the hands on training. All of these modules are available wherever there is an internet signal and can be seen on any computer, tablet or smart phone. This is a week in Florida with an instructor where each student is given personal and practical training on how to connect with the horse and apply the techniques and theories learned in the coursework. This is an essential module to complete in order to accelerate your way to becoming good at hand floating horses. After graduation the student comes back to Florida for testing their skills against the minimum standards for the 4 levels. Each level requires the student to have completed thousands of floats on their own. A graduate certified in Horsemanship Dentistry will be able to market themselves using the term “Horsemanship Dentist” and the horse owner hiring them can be assured of their competence and integrity in hand floating horses without medication. There is a private forum where any student and graduate can post questions and comments about the school or their horse floating experiences. There are “split-cam” videos (see below) and full length stall side videos of the instructors floating in real time. There are extensive photographs located outside the school and available for studying the variety of dental findings I have seen over the years. The Aging Project looks at over 200 horses of known age that shows that you cannot age a horse accurately by their teeth. All the photographs and videos within the school are listed and easily found separately in the library. Live web presentations are scheduled throughout the year and recorded for viewing later. Post graduate options are available including marketing, web listing and continuing education. An example of a “Split Cam” video. Headphones help as Doc T is in one ear and Melissa is in the other. Click on the modules below for details.